Marjene Matsunaga Turnbull is a ceramicist and doll-maker. She produced functional pottery from 1987 – 2012. 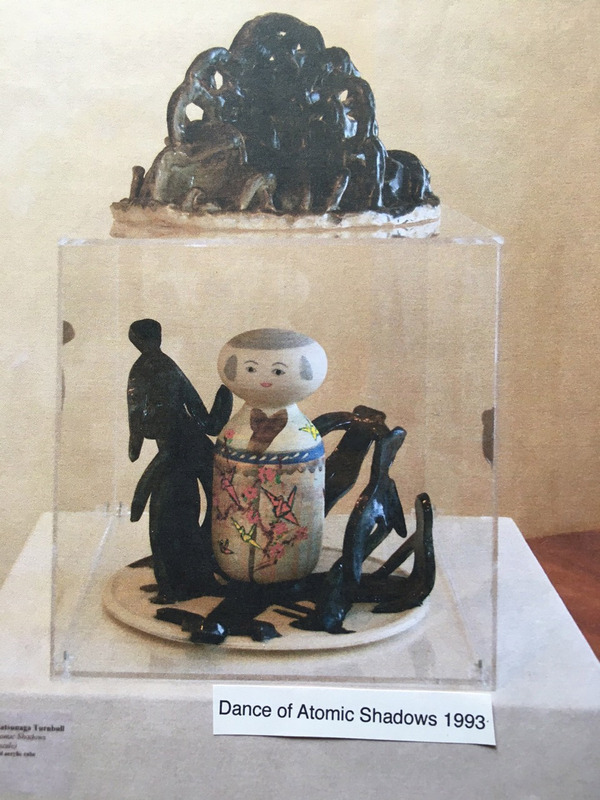 She also created Nikkei kokeshi (Japanese wooden dolls) – each one unique in facial expression and design. From 1981, Turnbull compiled family stories and in 1991 finished writing and editing the book Hisaoka Family Memoirs. Turnbull needed to know the social, historical and political circumstances to her parents’ and grandparents’ lives in Canada. 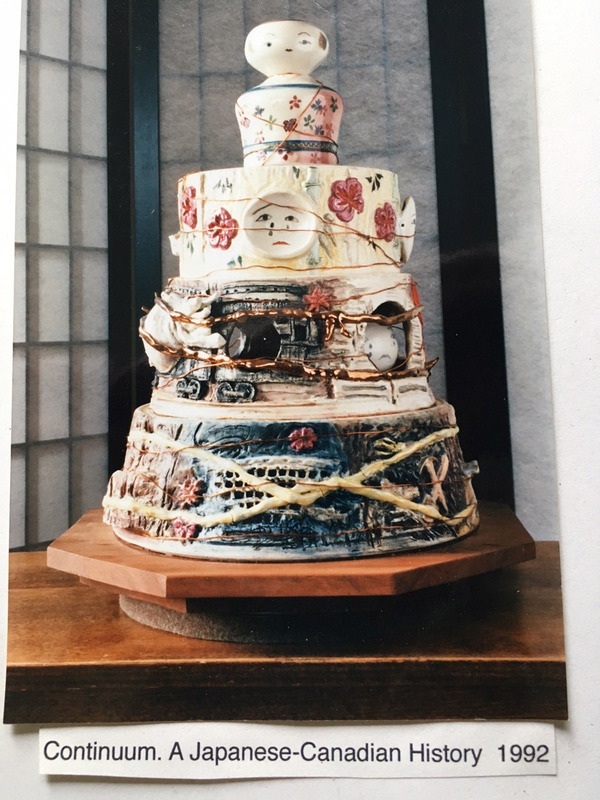 From this, she created a clay cake sculpture called Continuum. A Japanese-Canadian History. It depicted familial and general history in a recipe-like fashion. This sculpture was displayed first at Alberta Craft Council in Edmonton AB, then in the Mezzanine of the National Arts Centre in Ottawa ON. 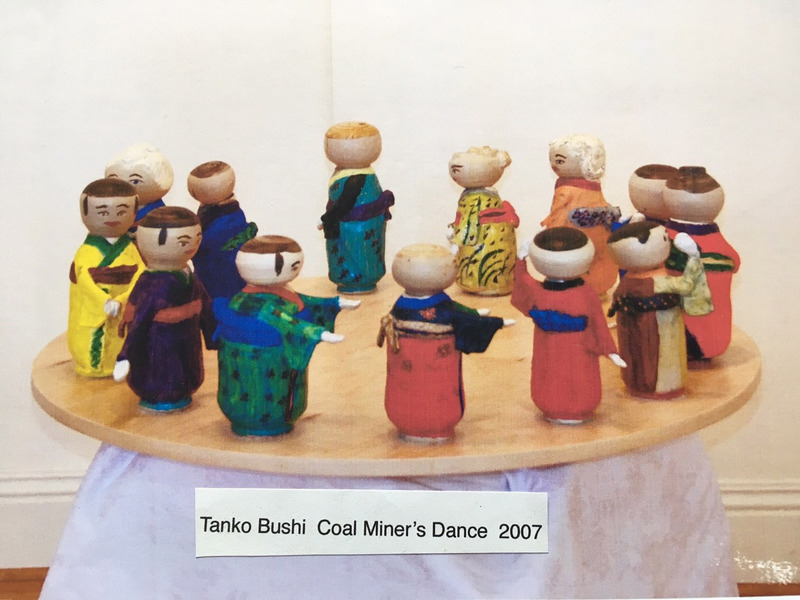 From 1992 to 2008, Turnbull created a number of sculptures which were based on her perspective as a Nisei-Sansei: Dance of Atomic Shadows; Yellow Peril-Yellow Fever; Losing Face; Saving Face; Sugar Beet Slavery; Tanko-Bushi (Coal Miner’s Dance). Turnbull is married to Brian Turnbull of English-Scottish heritage, and the couple have three children, and four grandchildren of varying ethnic backgrounds.